The work of the Congress included a multitude of other meetings, workshops and seminars. The following ministry workshops took place: Internet Ministries, Outreach and Evangelism, Family/Marriage/Interfaith marriage, Youth and Young Adults ministry, Religious Education, Inter-Orthodox, Ecumenical and Interfaith Relations, Communications, Parish Development and Stewardship and Greek Education. 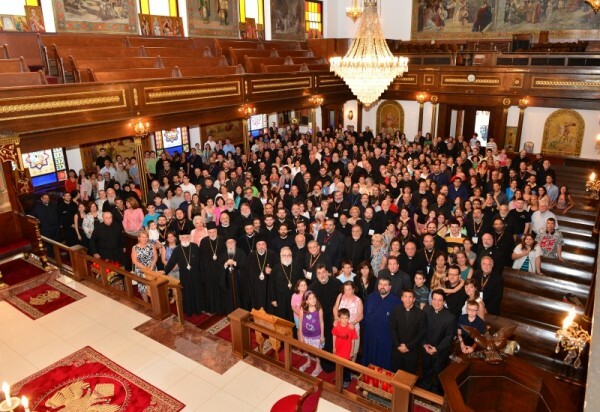 The meetings of the National Philoptochos, the Administration Committee, the Archdiocese Benefits Office, the Sisterhood of Presvyteres, the National Forum of Church Musicians, and the Retired Clergy Association were also held. A special Clergy breakfast was offered in the morning with the participation of the Hierarchs of the Holy Eparchial Synod and the Representatives of the Ecumenical Patriarchate. The National Philoptochos held a forum presentation titled “Let Love Abound,” and in the evening hosted a very succesful reception. A Clergy and Presvyteres Family night was hosted by Philadelphia’s Cathedral of Saint George.